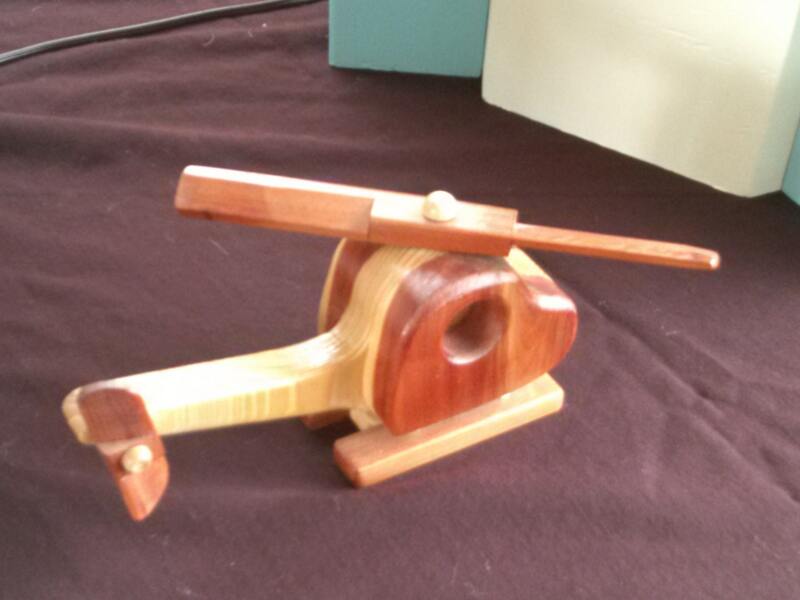 This handcrafted "Whirlygig" helicopter is made from Aromatic Cedar and Cypress hardwood. The top blade and tail rudder move and actually spins. Your little one will no doubt use their imagination with this toy. 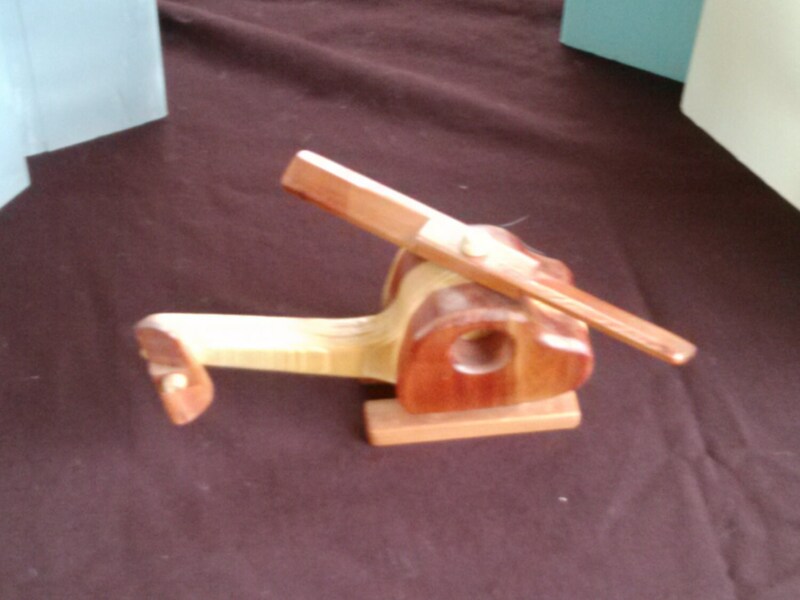 A great Waldorf Educational Toy! It is finished with a non-toxic high gloss finish, and as always can be personalized with your child's name, birth date or whatever would make it special to them. 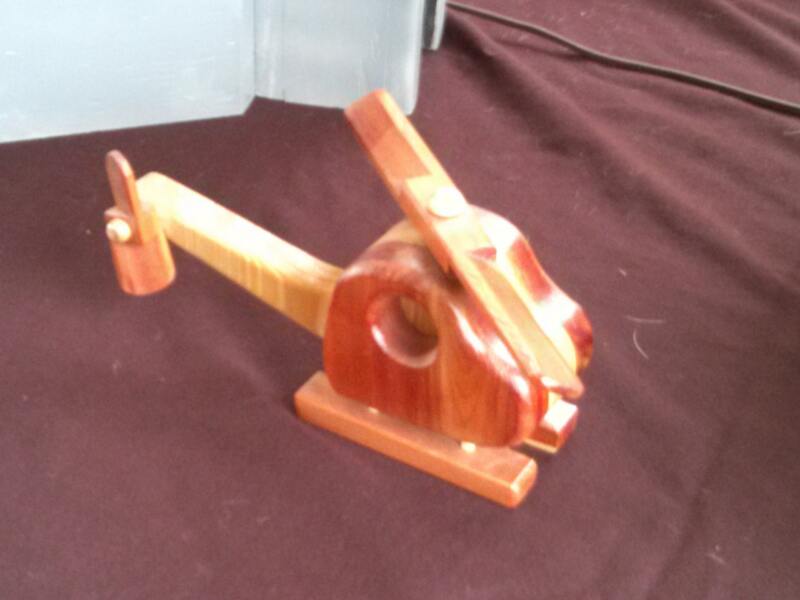 It measures 11" Long by 8" Wide by 4" High.